Wonder who gets it first? Amazon or BB? I was lucky enough to to get to the key2 launch here in London last night. Epic night and the phone, now I've played with it, just rocks. I'll order mine this week. I found the keyboard hard to adjust to in the brief period I had to play with it. I'm just not used to physically pressing down as I type but it's the functionality. there is so much that you can change and adjust. so many tweaks to make the phone personal to you. yeah, definitely a convert here. Do they have them on display yet at B.B.? I’d love to get to feel one in hand before I purchase. The whole time I wanted a KEYone, I wanted a Black one, even before they made one. I never got a KEYone. The Best Buy by me had the KeyOne on display the day it was available. 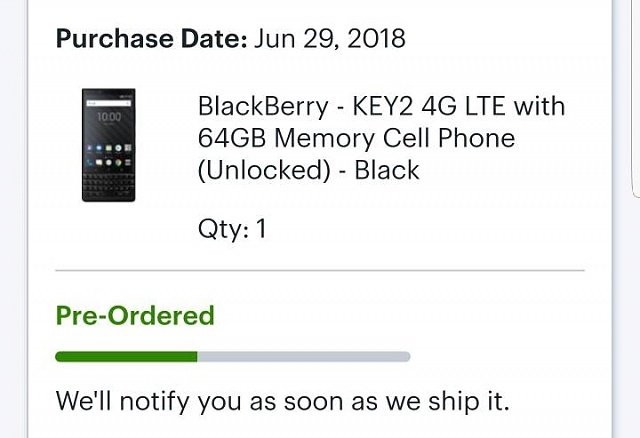 So I am hoping they have the Key2 on display by the end of the week! Picked up a silver model from beast buy and couldn't be happier so far all is good no issues except low light photos. best buy was definitely the best choice. I pre-ordered mine from amazon on the 29th and just got it today. Ordered mine to replace my Keyone / iPhone X combo. Ordered from Amazon today, with delivery tomorrow! On a Galaxy S9 how do I move the wallpaper temperature display units from celsius to fahrenheit?